I am the first woman councillor of Cypriot origin to hold the mayoralty. 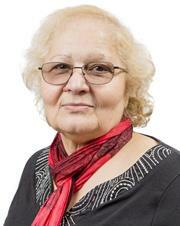 I came to the UK from Cyprus in 1960 and have lived in Haringey for over 40 years and in Harringay ward since 1972. I have represented Harringay Ward on the council since 1990. I have previously served as Social Services Committee Chair, and chaired Scrutiny panels on Recycling and Waste Minimisation and Social Services. I have three grown-up children and four grandchildren, all at local schools. I am always working for all the people of Haringey. Wherever people live, and whatever their background, they are citizens of Haringey, and my role is to build on our fantastic history of diverse communities working together for a better borough.